I want to say a few words to all you young girls out there. First you try casting your spell on a guy with a little Oogum Boogum Boogum. And if that don’t do. You try a little Ooga-ga-oosay Ooga-ga-oosay Ooga-gapoo. And if that don’t do it, you give him a Psychotic Reaction. In 1967, the mantle of top breadwinner at LA-based independent record label, Double Shot, was changing hands from The Count Five—the Dracula cape-wearing teenage quintet from San Jose who made it to #5 on the national charts in 1966 with their garage rock rave-up, "Psychotic Reaction"—over to Compton-by-way-of-Louisiana R&B singer and songwriter, Brenton Wood (born Alfred Smith) who was charting with his top-10 hit "Gimme Little Sign," and "The Oogum Boogum Song." Wood had diligently studied the popular hits of the day and approached the craft of songwriting as a code to be cracked, teaching himself what made people want to buy records. His answer, in the form of "The Oogum Boogum Song," was to write a song about "current events." Unlike other topical songwriters of his day, for him, this didn’t mean writing about politics or the war in Vietnam, but rather the news he could see on the street: "There were bell bottom pants coming into view, hot pants, mini skirts, stylish stuff that young people were getting into," he told me in a recent interview. "I just packaged it all and gave it back to them." He made this magic-themed song catchy by replacing words like 'abracadabra' and 'hocus pocus' with his own made-up, African-inspired slang, "oogum boogum" and "ooga-ga-oosay," prefiguring the Michael Jackson-quoted "Soul Makossa" chant by 5 years. 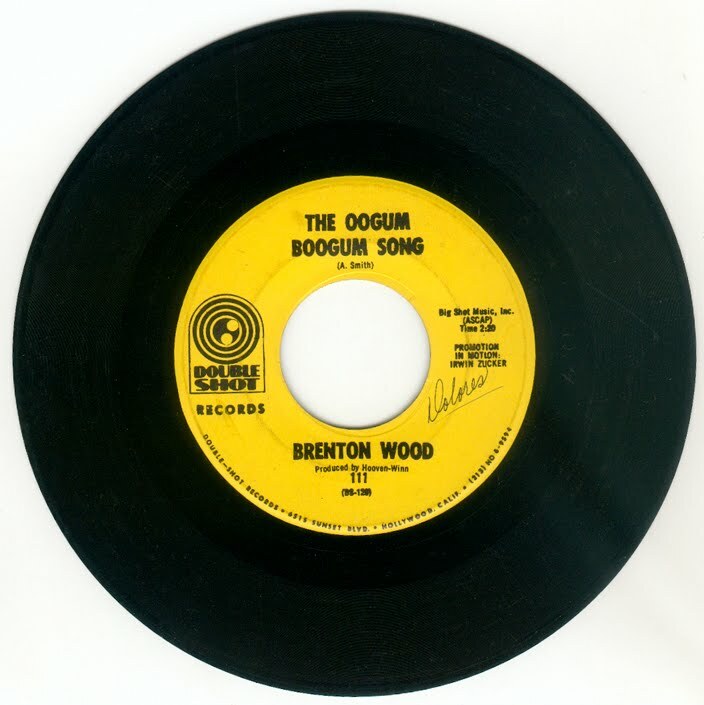 That same year of ‘67, the two Double Shot hitmakers would come together, if not in person (Wood says he never met The Count Five), then on wax, when Brenton Wood recorded a remake of "Psychotic Reaction," released as a single and on his LP, The Oogum Boogum Man. 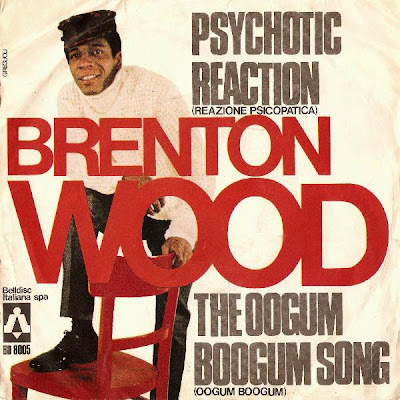 Brenton Wood starts his version of “Psychotic Reaction” by reminding his audience ("all you young girls out there") that he was the one who gave them "The Oogum Boogum Song." But if that self-penned hit just wasn’t enough, he offers this cover of someone else’s hit—a decision that had been imposed on Wood, who had no affinity for the song, by label boss, Steve Winn. 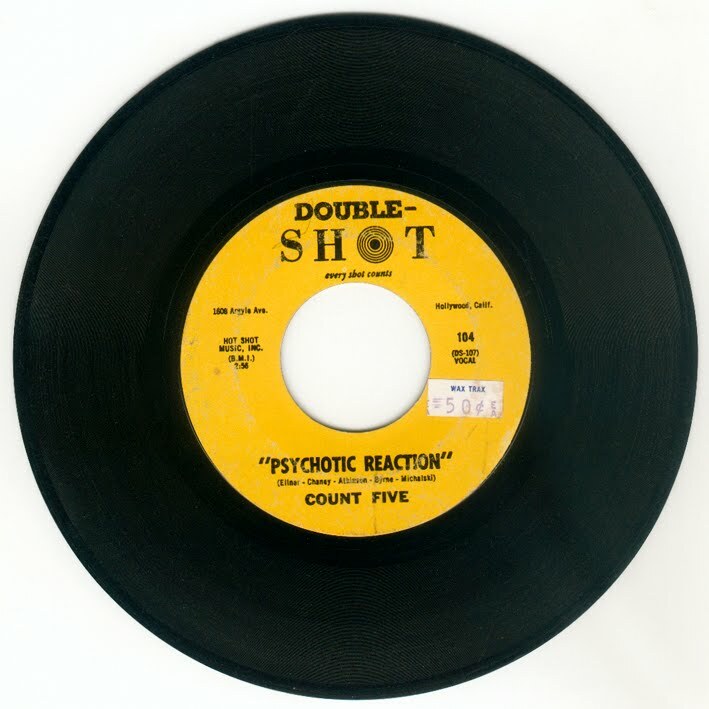 Double Shot owned the rights to "Psychotic Reaction," and presumably wanted to milk the known hit at a time when its original artist, The Count Five, was already beginning to fall from view, while padding out a planned long-player compilation of Woods’s singles. "It was just a song they gave me to sing," Wood told me. "I don’t need to sing everybody’s song. Nobody wrote a song for me. I wrote my own songs. When you start giving me songs and asking me to sing them, what do you want me to do with this? 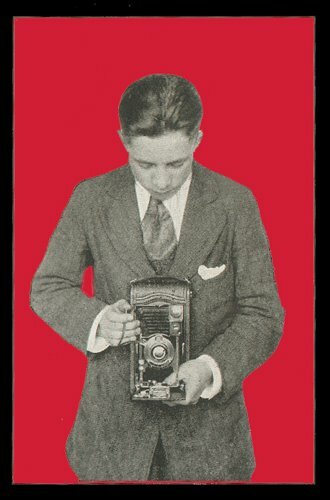 I don’t know; I just do what I’m told." To save costs for the session, the label had Wood add his new vocal and an organ part played by The Candidates’ Maurice Rodgers (who also played Farfisa on "Gimme Little Sign") on top of The Count Five’s original backing track. The distance between the original song’s grungy, fuzzed-out rock sound and Wood’s effortlessly smooth and soulful style was made literal when The Count Five’s backing track was mixed so low under Wood’s overdubs as to sound in the finished product like it was being pumped in from another, far-away room. "I would have preferred to cut it over again," Wood says, "but if you’re gonna do a cheap session, you use what you have in the can." 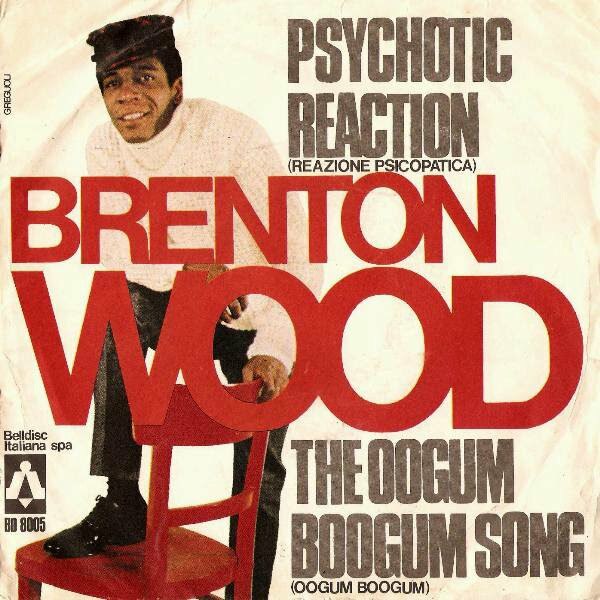 Despite it not being his choice to record "Psychotic Reaction," Wood did his best to make the song his own. "I didn’t want to just copy the same thing that was already out. So what I did was add a little bit to it to make it my story. I had to consume the story that The Count Five was singing and reproduce it as being me." In addition to personalizing the song’s introduction, Wood also added an impassioned vocal performance over the original’s instrumental centerpiece in which he attempted to fully realize the song’s theme by having a psychotic reaction of his own—a rapid-fire recitation of the opening lyric, which degenerates into a frenzied stream of falsetto pleas: "Gimme gimme gimme gimme!" Of the final result, Wood says, "I love the way it came out. I just did a psychotic reaction on it!" 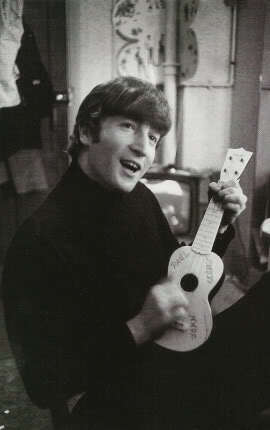 John Lennon would've been seventy today, but you probably already know that. It's a major media event around the world. He's been dead for nearly thirty years, and that's longer than he was active as a musician and a songwriter. He was only forty when he died from gunshot wounds inflicted on him by a crazed fan, but you probably already know that too. 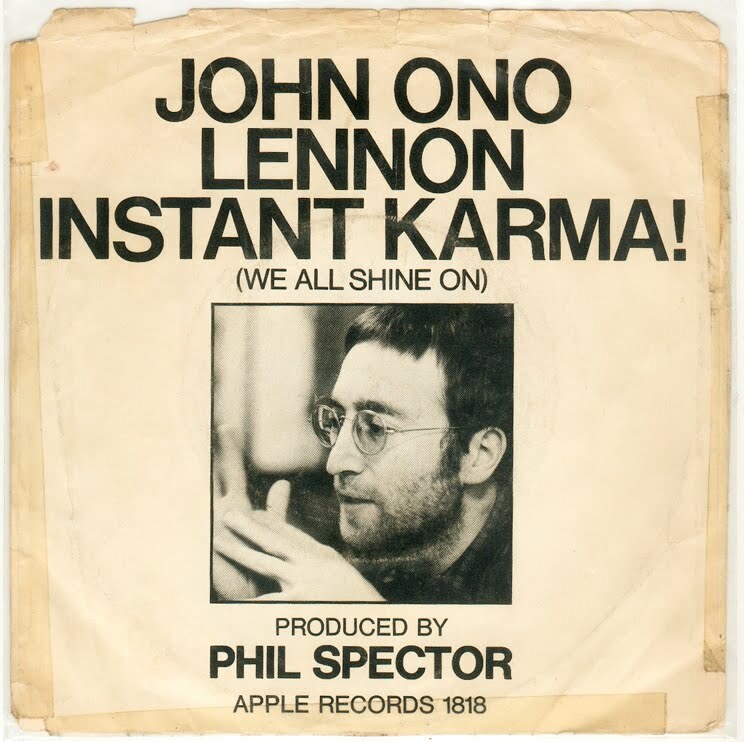 For me and people my age, too young to remember Kennedy's assassination and the ensuing craziness of that very decade that Lennon is most associated with, it's a moment we'll never forget. At least I won't, and I can only speak for myself. He's best known as a member of The Beatles, but in his solo career, as spotty and short as it was (it includes a five year break from recording), he wrote more great songs than most songwriters could hope for in a lifetime. He was prolific and the good far outweighs the bad. Below, are some of his songs performed by other artists, and a few by him. All but one are from his solo career. The exception being "The Ballad of John and Yoko," and although it is a Beatles song, it does mark the beginning of Lennon's departure from the Beatles. by The Flaming Lips, 1995.